Bella Beach Hotel is a fabulous all-inclusive hotel that offers wide-ranging facilities to its guests. 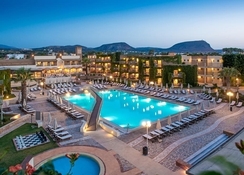 The best and the foremost aspect about the hotel are the two outdoor swimming pools, where guests can take a refreshing swim and relax on the sun loungers. The rooms in the hotel will make guests feel like a home-away-from-home with all the necessary and luxury amenities. In addition, there are plenty of bars and restaurants in and around the hotel, which is surely some good news for foodies. Those who want to practice golf can take advantage of the mini golf court with 16 holes, it is available without any additional charges. Those who want to relax can go to the wellness centre. 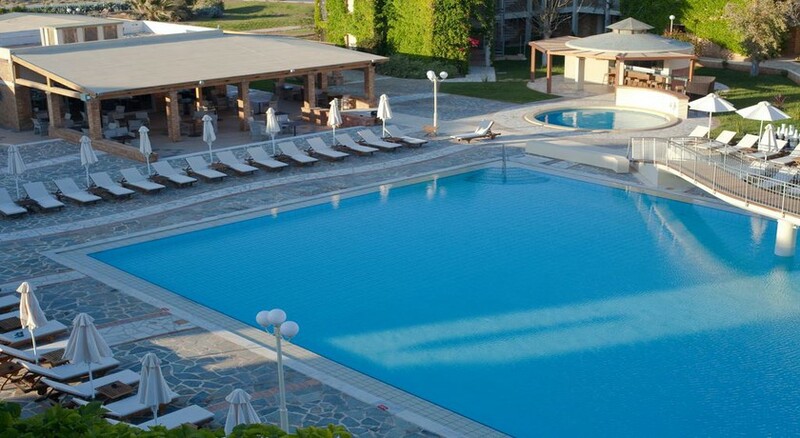 All these facilities make the Bella Beach Hotel a fantastic place to stay for your Greece holidays. Bella Beach Hotel is situated in Anissaras, Greece. As the hotel is close to the sea, beach lovers and water-sport enthusiasts will surely have a nice time. Heraklion international airport being the closest at 21km makes it convenient for guests to reach the hotel and board their flights back on time. The exquisite rooms at Bella Beach Hotel are an unforgettable experience of luxury. Some of the amenities in the rooms include closet & writing desk, daily maid and turn down service, direct dial telephone, dressing mirror, DVD player, individually controlled air conditioner, in-room Wi-Fi, iron & ironing board (free upon request), kettle (tea/coffee facilities), marble bathroom with bathtub or shower, featuring bath facilities, mini fridge, pillow menu service, private balcony or terrace, 24 hours’ room service, safe deposit box, satellite 32’’ LED TV and wake-up call. The onsite restaurant and bars at the Bella Beach Hotel serve a wide range of cuisines from around the world. The bars and restaurants in the hotel include – Pergola restaurant, Olive Tree & Orion, Azalia lobby bar, Rotonda pool bar, Oasis beach bar and Deja vu discotheque. 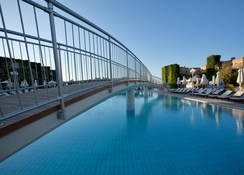 The hotel offers abundant sports and leisure facilities to captivate guests. Two beautiful large outdoor pools, one heated indoor pool and a children’s pool is available for guests for swimming. 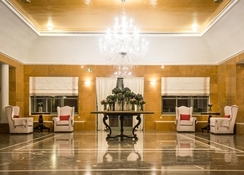 Other facilities in the hotel include two tennis courts, kids club, kids’ playground, children mini club & mini disco, basketball, giant chess, water polo, boccia, mini golf court, mini football, beach volleyball, billiards/pool tables, darts, table tennis, water-sports on the beach and bridge-cards area.